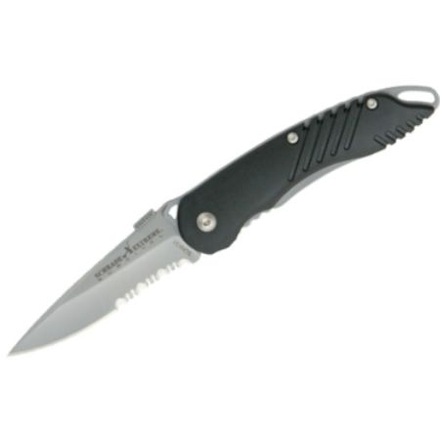 Schrade Assisted opening speed linerlock with partially serrated stainless steel blade. Handles are Black zytel with lanyard loop and pocket clip. Closed length: 4 1/4".